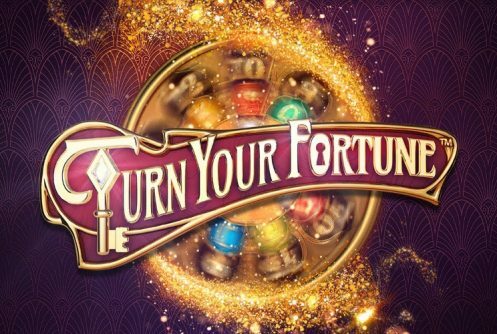 Turn Your Fortune available to play at the best NetEnt Casinos is an apt name for an online slots and one with an usual game mechanic which we’re going to take a look at in a bit. Let’s just get the basic stuff out the way before we dive right in. 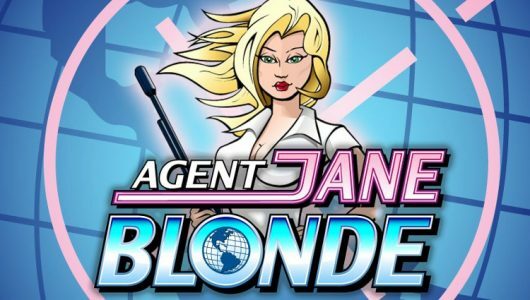 All the action takes place on a reel set that’s fitted with 5 reels, 4 rows and a rather interesting free spins bonus that’s played on a golden cylindrical barrel (situated to the left of your screen). Based on what we’ve seen about the game so far we believe it to be medium variance. Symbols on the reels include cards from 10 to Ace (low value), a jewel encrusted tortoise, lion, butterfly wild, snail, fish, golden key with jewels, scatter and owl. 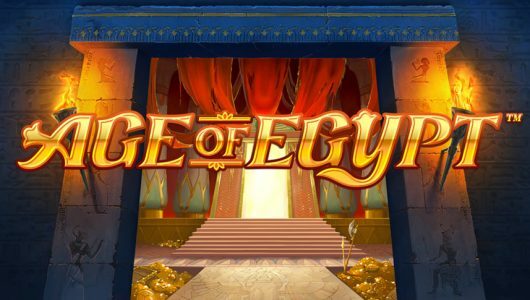 The RTP or average return to player percentage of Turn Your Fortune has not been disclosed by Net Entertainment yet; knowing the developer it will be around the 96% mark. The jackpot (non-progressive) up for grabs at the maximum bet per spin is 2,000x your stake. The wild symbol is the butterfly, winning combinations are completed by it when it substitutes symbols adjacent to it bar the scatter. Play revolves around the free spins that’s played when 3 or more scatters appear during the main game. Once the free spins is triggered you’re taken to a large cylindrical golden barrel with the numbers 5, 10, 20, 50 and 150 etched onto it. You’ll also see a red meter situated right at the top of the barrel. At the bottom of the barrel there’s a keyhole, once the key is inserted the tiles shift to the left which increases their value. 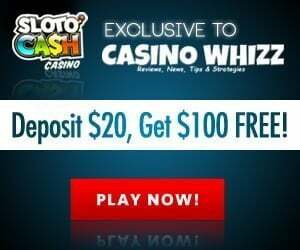 The amount of free spins you’ll receive is determined by the number on the outside cog. The special symbol is gained from the centre cog that features during the free spins. Special symbols gained are added to the red meter until it reaches 20 (collectable symbols). Upon conclusion of the free spins your wins are subjected to a multiplier that’s situated at the top of the barrel. According to the paytable of the slots it can be as high as 20x! Note, standard symbols are transformed into golden versions of themselves during the free spins. When it comes to innovation NetEnt leads the pack yet again with Turn of Fortune. Our initial thought was that it comes across as complicated. 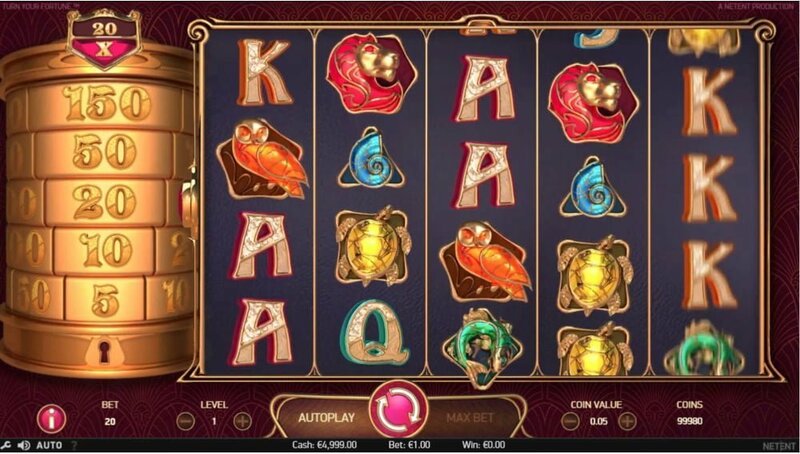 Once we started playing it we realized it’s a rather simple slots with the standard 9 symbols, wild symbol, scatters and of course a smashing free spins feature with collectable symbols that’s subjected to a hefty multiplier! Furthermore, the jackpot of 2,000x your stake known as the ”All Fortune Wins” is not to be taken lightly either. How many bonus rounds does the 3D slot have? To the best of our knowledge it’s only equipped with a free spins feature that’s initiated when 3 scatters appear. 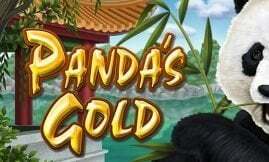 Free spins play takes place on a cylindrical golden drum with a set of randomly selected keys. At the end of the free spins all wins are subjected to a multiplier that can be as high as 20x! Can the game be played on mobile phones? Yes it can since the Net Entertainment software is fully compatible with HTML5 mobile apps. They enable more complex functions than the earlier versions specifically designed for mobile phones, tablets and other handheld devices. Is it difficult to trigger the free spins? 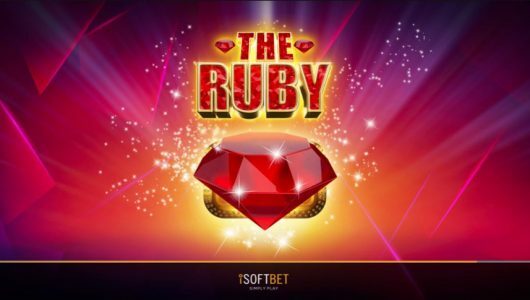 The slots is of medium volatility as such it requires a few spins to get into the free spins. By this we mean the bonus round can be triggered within 40 spins maybe more, it also depends on how high your average bet per spin is.